The healing properties of chokeberry for centuries been known Indians. 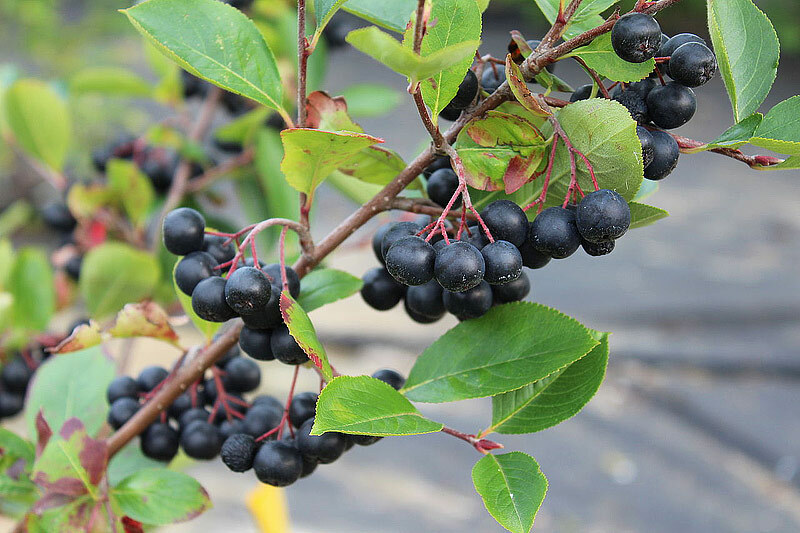 Aronia is a deciduous shrub native to North America, was introduced in Russia in the late 1800s, and after that in the countries of Central and Eastern Europe. Small dark berry plants Aronia melanocarpa are full of nutrients and antioxidants, such as vitamin C and anthocyanins, and offer a variety of benefits for those who want to improve their health through better nutrition. Aronia as a medicine has only recently gained popularity in modern society, and the healing properties of cookery are now widely studied in laboratories around the world. Continue reading to see what are the scientifically proven medicinal properties of chokeberry. Aronia berries are known as improve blood circulation, strengthen blood vessels and reduce the risk of heart disease. Free radicals are the cause of various diseases in the body, and chokeberry can prevent the formation of these radicals, thus preventing diseases like diabetes and other cardiovascular diseases. Mature chokeberry contain a large amount of phenol, which disinfect the bloodstream and the body, stimulate the healing of wounds, removing toxic substances from the body, reduce inflammation, improve the elasticity of blood vessels and prevent them clogging. Many studies have demonstrated the efficacy chokeberry on the cardiovascular system. 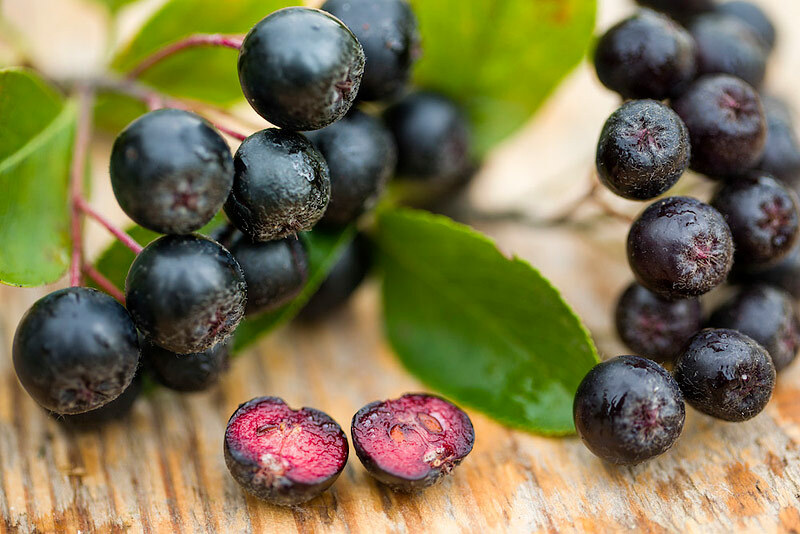 Participants in the study who consumed Aronia berries at the end of the study had a reduced risk of cardiovascular disease, reduced blood pressure, reduced levels of LDL (bad cholesterol), as well as a handful of other health benefits. 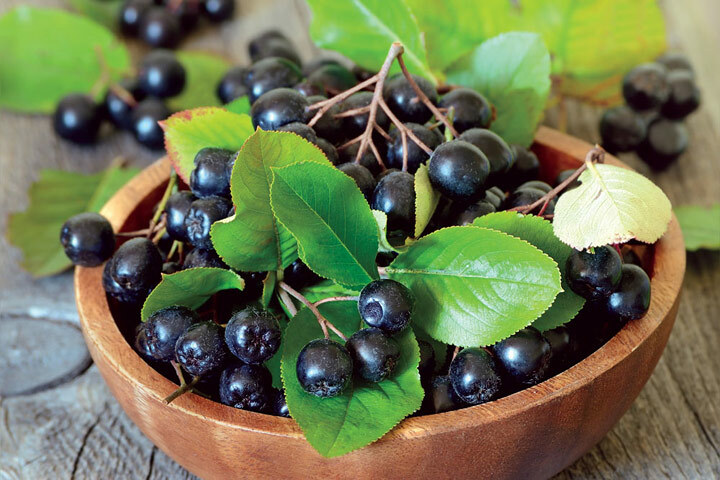 Aronia greatly helps maintain normal blood pressure levels. 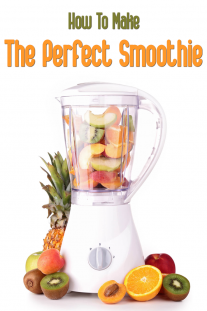 It prevents spasms in the blood vessels and keeps blood pressure away from the “danger zone”. Juice or tea from chokeberry is recommended for people who have problems with blood pressure. Aronia berries have a higher concentration of antioxidants than any other fruit in the world. Why is this so important? 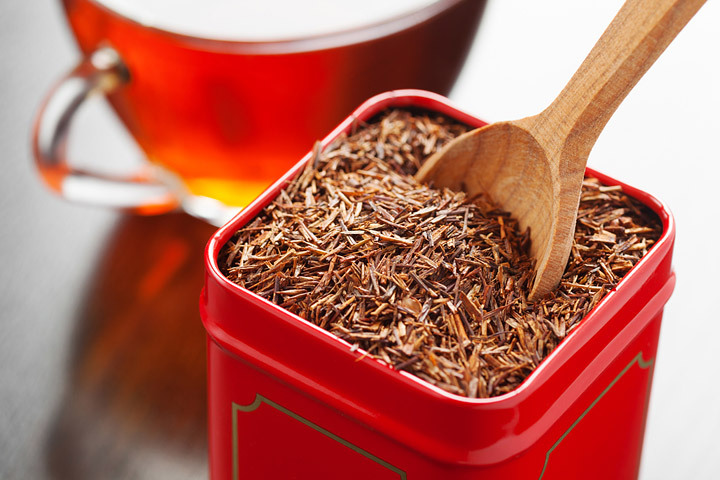 Antioxidants protect the body’s cells from the damaging effects of oxidation. These antioxidant properties are attributable to the phenolic compounds present in Aronia, although high levels of Vitamin C also play an important role. From quercetin, epicatechin, and caffeic acid, to the carton, the fruit, provides a large amount of antioxidants that can improve your overall health by removing free radicals from the blood, skin, eyes, and body tissue. It is believed that antioxidants protect against many degenerative diseases, such as cancer and heart disease, and slow the aging process. 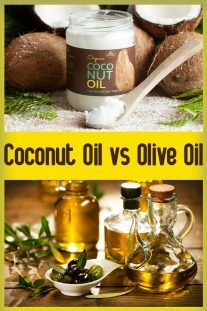 They are also a key component of anti-wrinkle, because they can help to protect your skin from the harmful effects of environmental pollutants, smoke, solar UV radiation and other factors that cause your body produces free radicals. According to a study published in 2005, the entire Aronia berries have greater antioxidant activity than juice. So, fresh or dried berries of Aronia will provide maximum benefit. However, it should be remembered that extremely high doses of antioxidants may even do more harm than good! This is why you need to follow the recommendations dosages printed on the packaging – in the case of dried berries chokeberry, the recommended dose is usually 1 tablespoon of berries a day. Another great benefit of drinking chokeberry is maintaining good health of the urinary tract. Millions of people all around the world suffer from daily urinary tract (urinary tract), and one of the biggest causes of Escherichia coli. Symptoms include common sense and / or the need to urinate, pain during urination and cloudy urine. It is known that cranberry very good to fight urinary tract infections, but studies show that Aronia berries five to ten times more efficient due to higher doses of quinic acid, which has been shown to prevent urinary tract infections. Further laboratory studies have shown that chokeberry effective in reducing the growth of a microorganism in a few bacteria, including Escherichia coli, which proves that Aronia prevents, treats and maintains good urinary health. One study found that regular consumption of the juice of chokeberry decreases the incidence of urinary tract infections, which are usually a big problem for the elderly. Eating berries is generally one of the best tips for people who are looking for food that can reduce the risk of developing cancer, and chokeberry may be the ultimate winner when it comes to food that fights cancer. A team of researchers from the Department of Nutrition and Food Science at the University of Maryland analyzed extracts from grapes, wild blueberry and chokeberry, and tested their effectiveness in fighting colon cancer. 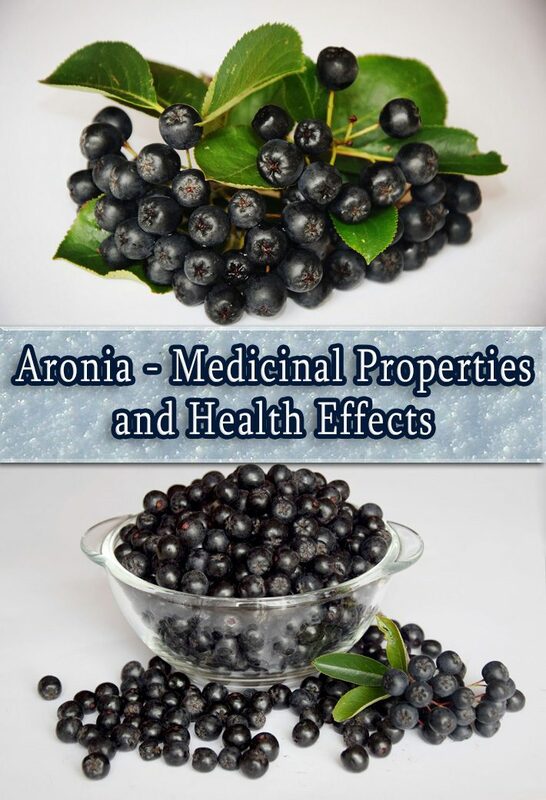 All three fruit inhibits the growth of cancer cells, and Aronia extract is shown as the most potent inhibitor.